As with the previous ratings reveal articles, the latest list goes into detail about some of the specific ratings for each of the five players. 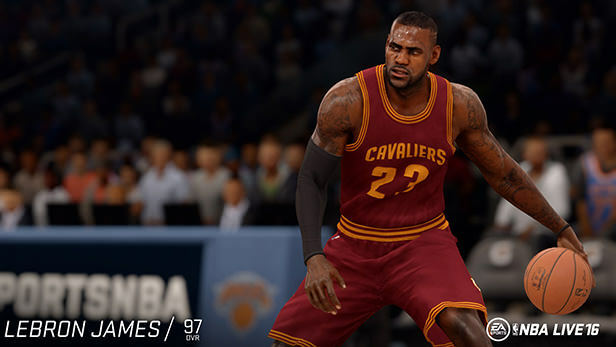 Notably, it mentions that LeBron James is also the highest rated player in the game, with high strength, dunking, and jumping ratings. Kevin Durant boasts some of the best shooting ratings in the game, while Kawhi Leonard is one of the strongest defenders. The individual ratings mentioned for Paul George and Carmelo Anthony also seem to be on point. 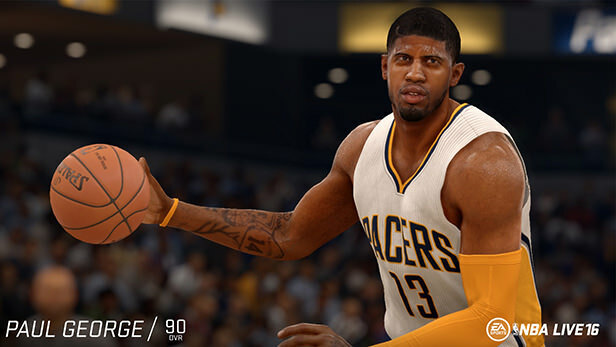 He’s the best player in basketball and he’s also the best player in NBA LIVE 16. King James can do it all on the court. He’s an athletic beast (95 Strength, 95 Vertical, 94 Stamina) and can throw down some of the best slams with his 95 Dunk rating. James will consistently shut down ball-handlers too with his 97 On-Ball D. Be sure to perform a signature chase-down block with his 95 Speed and 81 Block rating. KD may be the best scoring threat in the NBA, and his ratings reflect that. His 97 Close Range, 94 Mid Range and 90 Long Range Ability, as well as his 98 Off-The-Dribble, are the best in his position group. Guarded shots are no problem for Durant either, with a 98 Contested Shot rating. When the game is on the line, dish it out to KD and his 94 Clutch Shooting rating. 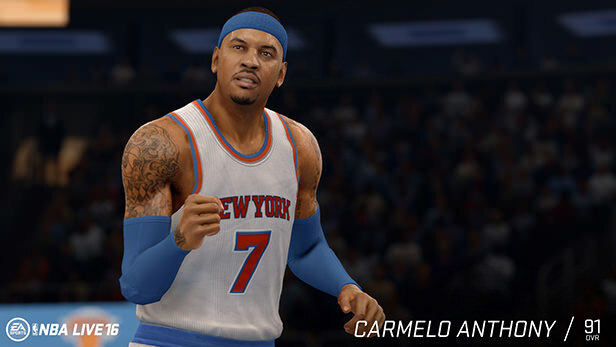 Melo is very effective in the post, coming in with a 93 Post Offense (top ranked SF) and 83 Post Defense rating. He’s a strong player (90 Strength) who can score in the paint (90 Close Range, 89 Layup) and when fouled (93 Score With Contact). Paul George is one of the best defenders at his position with a 93 On-Ball D rating. But his talents stretch far beyond defense. George is a scoring threat (86 Layup, 90 Score With Contact) and can throw down some of the best dunks too (91 Dunk). 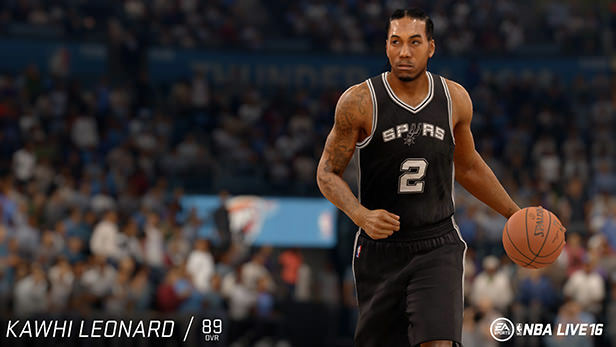 Kawhi Leonard is one of the most versatile players at his position. Known for his dominant defense, he has 86 Post Defense, 91 Help Defense and 95 On Ball D rating. He’ll definitely grab some steals too with his 92 Steal rating. 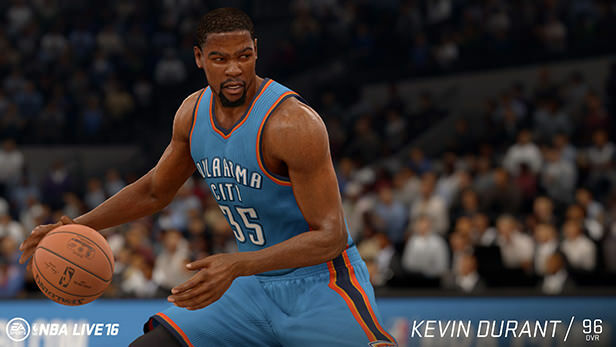 NBA Live 16 demo drops on September 15th, and full release on September 29th. 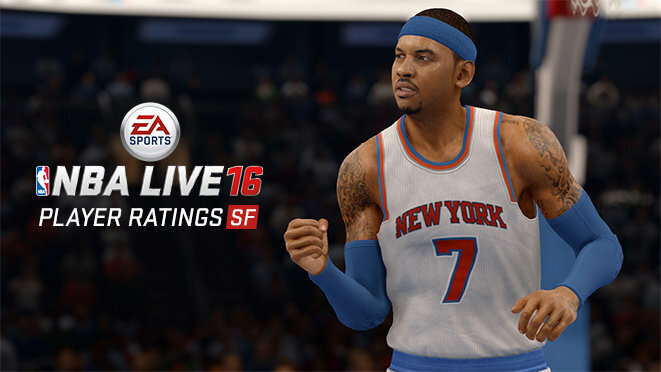 Are you excited for NBA Live 16? Or would you rather stick with NBA 2k?